The International Press Institute (IPI) is an institute bestowed by the United Nations consisting of global network of journalists, editors and media executives who share a common dedication to quality, independent journalism. Unlike usual UN committees where delegates represent states, delegates of International Press Institute will represent International News Agencies where you will be encouraged to report on proceedings, explore the topics being discussed across the different councils to enhance your own understanding, and expect to contribute making reports that will further trigger the debates. 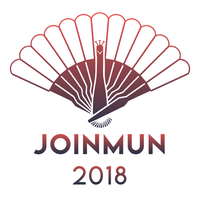 Join this next level press experience in JOINMUN 2018! Contending the complex humanitarian emergency of the Yemeni civil war. The war in Yemen is now the world’s worst humanitarian crisis, with more than 22 million people – three-quarters of the population – in desperate need of aid and protection. In July 2017, a total of 8,000 cases of cholera was reported, resulting in 2,177 deaths with most being children. ​ Ongoing conflict destroyed water and health infrastructures and malnutrition has caused people to become more vulnerable to dangerous situations. The complex humanitarian emergency status grew even worse when Saudi Arabia blocked humanitarian aid from entering Yemen. As of March 2018, at least 10,000 Yemenis have been killed in the civil war, with more than 40,000 casualties overall. The United Nations Office for the Coordination of Humanitarian Affairs (OCHA) estimates that more than 3 million Yemenis are displaced internally and 280,000 externally. Internally displaced Yemenis must cope with food and water shortages. The Yemenis whom have not fled are also suffering; healthcare is extremely difficult to find and resources are limited. The manifestation of indigenous people’s rights in the contemporary era. One of the most important issues in the contemporary world is the violation of the rights of indigenous people. Their rights are undermined through political exclusion, termination of access to economic gains, and other forms of discrimination that are detrimental towards their welfare and survival. Although respect for national sovereignty remains at the forefront of diplomacy, it is seen that a general consensus over the protection of indigenous people's right is direly needed. ​ The United Nations Declaration on the Rights of Indigenous People (UNDRIP) was adopted by the General Assembly in 2007, but, of course, it faces its own set of hindrances: states with the most rampant violations are voting against the Declaration, turning the declaration into a failure. Further negotiations between states are foreseeable. however, and it is up to the SPECPOL Council to solve this problem once and for all. Settling the Contentious Border Dispute of Croatia versus Slovenia. Following the dissolution of former Yugoslavia, Croatia and Slovenia became successor states after declaring their independence in 1991. Prior to their independence, land and maritime borders were not fully determined in detail. With their own interests in mind, this become a contentious dispute between Croatia and Slovenia for decades. Various attempts to solve the dispute were made over the years, with documents such as the Drnovšek–Račan agreement in 2001 and the Bled agreement in 2007. However, it is clear that none of efforts have been successful. ​ Despite the sovereign establishment of the two states, the prolonged border dispute has caused further issues, among them would be Croatia being blocked from EU accession talks until a mutual territorial agreement is to be reached between Croatia and Slovenia. In 2011, the two countries submitted their agreement to arbitrate to the UN in the hopes that the territorial border could be conclusively solved through binding arbitration. 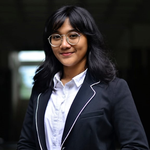 Could you end this contentious dispute by joining the first ever model Permanent Court of Arbitration in Indonesia? COP 26: Mitigating the global pollution outbreak. Pollution is now viably considered a leading killer of people worldwide, causing approximately 9 million premature deaths in its current rate. Pollution gravely affects the health of people of all nations, however, more than 90% of these deaths are mainly from low and middle income nations. Currently, industry-wide pollution is progressing at a worrying rate, releasing new pollutants into the atmosphere and increasing the risk factors of global mortality. Many developed nations have agreed upon taking aggressive measures to mitigate this urgent matter. China, for example, has successfully reduced their carbon emissions by 50% within the span of only 5 years. However, in 2020, under the political climate of the Trump administration, the global economy is shifting towards a more protectionist approach. The repudiation of open trade could create a negative impact towards the global economy. The world would experience a regression if states choose to revert back to increasing industrial activities as an act of trade war retaliation. Managing an inclusive global economic cooperation in the wake of the Fourth Industrial Revolution. The advancement of technology in the Fourth Industrial Revolution offers unprecedented avenues in developing society as a whole. Not only has it changed the way we interact, it has also changed the way our economies work. According to the World Economic Forum (2017), 60% of jobs worldwide possess a high possibility of being automated in the near future due to the advent of artificial intelligence and Big Data. Similarly to past industrial revolutions, changes could be perceived as disruptive to the economic system. One threat would be the lack of demand for low-skilled and less-educated workers in the industry, creating higher rates of unemployment worldwide. In addition, income inequality seems to be on a never-ending incline – an issue which could lead to political polarisation, social fragmentation and lack of trust in institutions. ​ Reflecting on the threats and challenges of the Fourth Industrial Revolution, the world in need of inclusive cooperation between developed and developing states in order to ensure a future that is both stable and sustainable.